The members of The Sports Massage Team are all certified massage therapists and have an average of at least 8 years of sports massage experience. We are tried, tested, and true when it comes to providing you with the highest quality sports massage services. While many of our team are Colorado based therapists, we also bring in therapists from New York, Connecticut, Mexico, England, and Australia. 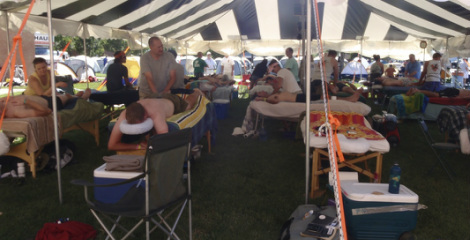 The Sports Massage Team is the Rocky Mountain West’s largest sports massage team. The philosophy of the team is show up to work, stay on time, no drama, no trauma, and we’ll help you hit the magic number. Peter works hard to create a well organized, fun environment in which to work. Peter works hard to fit the right collection of talent and personality to make each event that The Sports Massage Team is involved with that great mix of fun and worthwhile. If you are interested in becoming part of the team, contact Peter and set up an interview. 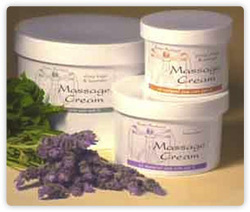 The Sports Massage Team needs professional products that stand up to all types of conditions and bodies. We have found that the Santa Barbara Massage Cream from the fine folks at Real Bodywork meets and exceeds our standards. The product has the cleanest ingredients of any product we have tried over the course of 29 years in the business. Check them out, you will be glad you did! Click on the photo to link to their site.